MERCATOR -Walachia, Servia, Bulgaria, Romania. 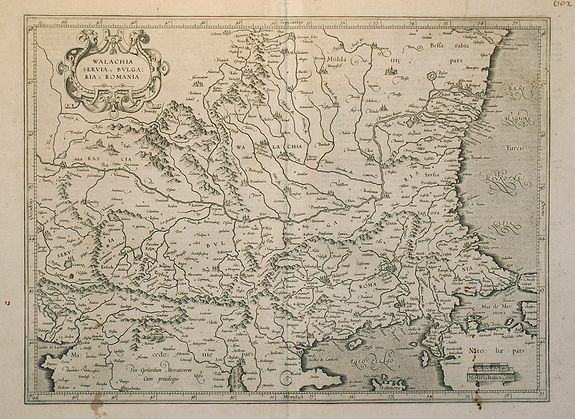 MERCATOR, G. / HONDIUS, J. - Walachia, Servia, Bulgaria, Romania. Walachia, Servia, Bulgaria, Romania. - MERCATOR, G. / HONDIUS, J. Title : Walachia, Servia, Bulgaria, Romania.. Size : 13.5 x 18.4 inches. / 34.4 x 46.7 cm. Description :Map of the Eastern Balkans. Condition : Paper slightly age-toned as usual. A few brown spots on the lower right and the left part of the engraving. A lower marginal light brown spot 1 cm into the engraving.